I've owned and ridden Harleys exclusively since I was 22 - and not until now have I even been tempted to ride anything else. That�s how good I think the T-bird cruiser is! 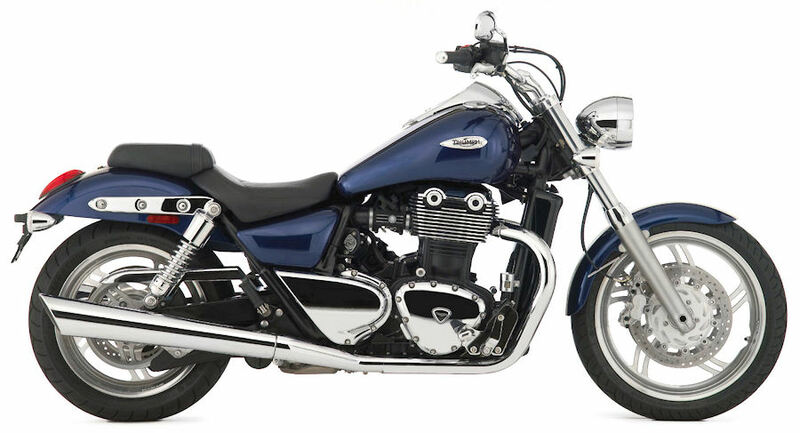 The 2010 Triumph Thunderbird is apparently 99% brand new - it only inherits about 1% of it's build from its big brother, the Rocket III. 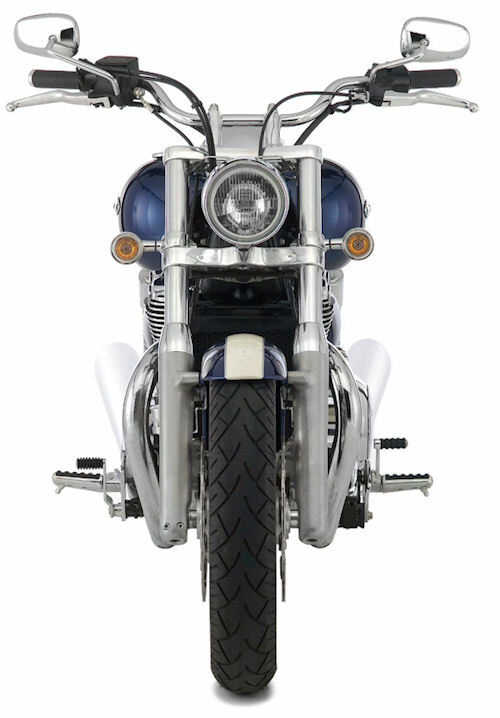 The T-bird is powered by a parallel twin 1597cc, (98 cubic inch) water cooled engine. The motor produces almost 85bhp @ 4850rpm, and almost 108ft.lb @ a very low 2750rpm (63.2kw and 146.1Nm). The Combustion gases are expelled through a very long (and wide) exhaust system, which is rated at 92dba (legal level in NSW is 94dba). Triumph also have available a shorter and slightly louder system available as an option. 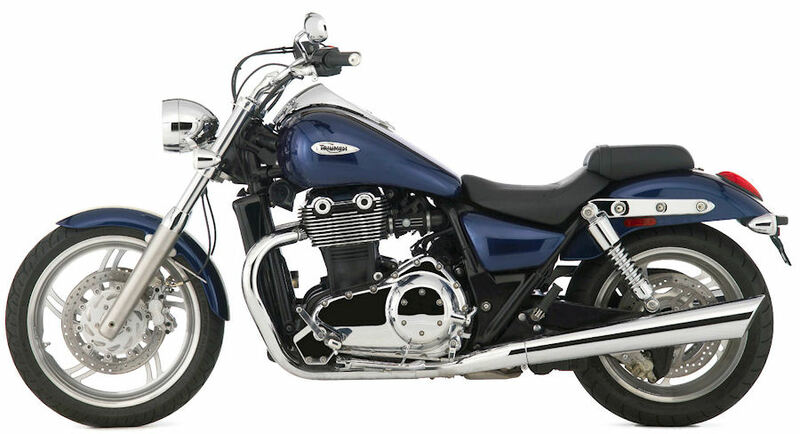 Read about my two favourite aftermarket Triumph Thunderbird exhaust mufflers. The transmission has six gears, or really, 5 with an overdrive top gear. Slip into sixth, drop the revs, and the bike smoothly rumbles along the highway, even at higher speeds. The bike also uses the first belt drive to appear on a Triumph since 1922. Triumph say the belt will last the life of the bike, but the rear pulley, strangely enough, only lasts about 60,000 miles. The dash mounted instrument panel tells you more about the road, as well as your journey, with class-leading functionality. The tank has a large speedometer, integrated tacho, two trip meters and fuel gauge, set in a chromed nacelle and proudly bearing the unique Thunderbird logo. This detailing is carried through to the indicators, which have clear lenses so as not to spoil the monochrome look and are self-cancelling - because you�d rather just concentrate on enjoying the ride. The fuel tank under the dash holds a useful 22 litres. The standard seat is nice and low - a mere 700mm off the ground. 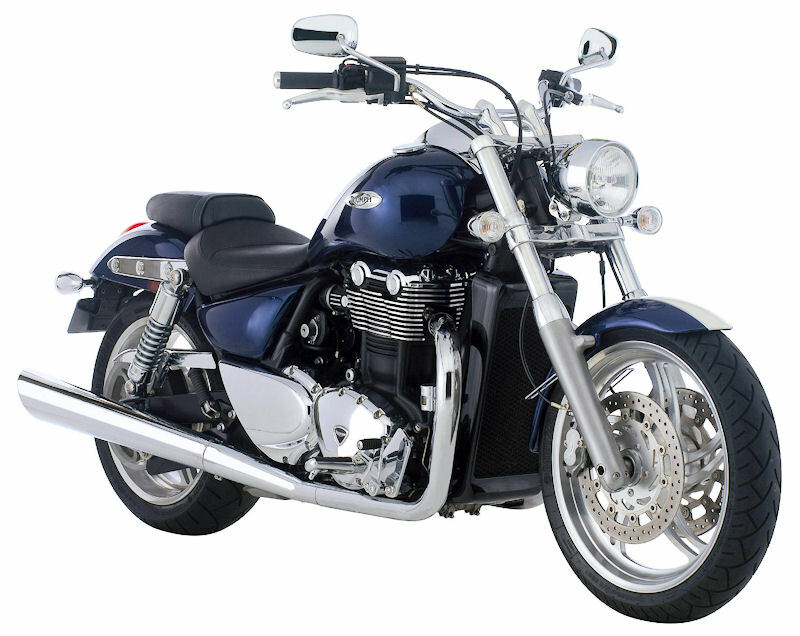 But as expected from Triumph, this class-leading low clearance isn�t at the expense of padding. Cruise with a partner in comfort - or alone - and still plant both feet firmly on the ground at lights. The seat seams are also taped to avoid soaking up any possible rain you might get caught in. The front wheel is a 19 x 3.5 inch cast aluminium, and the rear is 17 x 6 inch. Both wheels have spokes which are machined with such precision, you can see your face in them. Even the tyres are new. 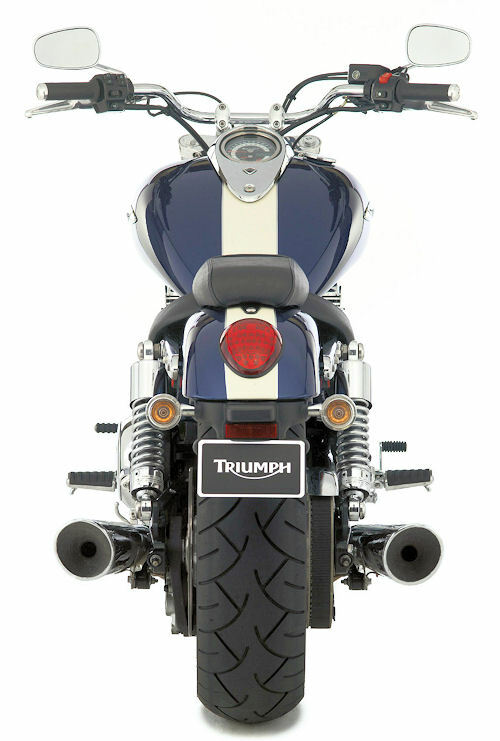 The Thunderbird team worked with Metzeler to develop bespoke profiles, with the rear being engineered to give it a look that means business at no expense to that trademark Triumph handling. Ask your dealer for exact prices.